The Malaysian Ministry of Health (MOH) are about to embark on a programme of health facility redevelopment projects. As part of their preparations, they recently travelled to London on a short study tour. MJ Medical taught a session on health facility planning and medical equipment planning at the London South Bank University. Their interactive lecture encompassed all aspects of clinical design briefing, determining spatial requirements, medical technology and planning for change. The MOH delegation found the training to be very engaging and highly informative. 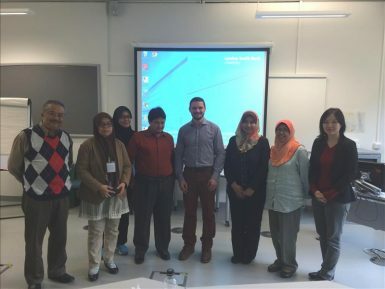 MJ Medical is now planning to deliver similar training direct to other key members of the MOH in Malaysia in 2015.